A new edition of Andrew Davies’s history of the gangs of Victorian Manchester and Salford has been published by Milo Books. It’s also available for in a Kindle edition. Use the links to the left discover more about the book, its author, the history of the gangs, and upcoming events. 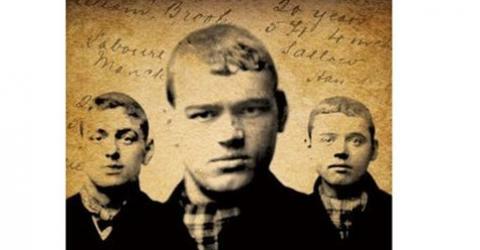 Gangs of Manchester guided walk with Emma Fox: Sunday, 7 September 2014. Manchester tour guide Emma Fox is leading another ‘Gangs of Manchester’ walk on the morning of Sunday 7 September, 2014. Previous walks led by Emma have attracted rave reviews. You can find details here. For details of Emma’s other walks, including a fabulous tour of Manchester Southern Cemetery, click here. Emma Fox will be leading another series of Gangs of Manchester walks this summer. Tickets are now available for walks on 21 August and 25 September. For booking details, click here.